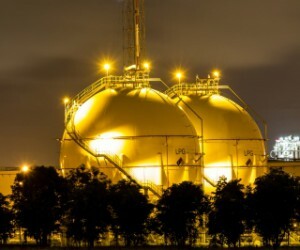 The move is the second major coup for the city’s gas industry, coming hot on the heels of Air Products recent R300-million capital investment for an air separation unit located in the Coega Industrial Development Zone (IDZ). The strategic alliance, which will bear fruit for both companies, allows Air Products to supplement their full bouquet of products to the region through Reatile Gaz’s liquefied petroleum gas (LPG) supply while allowing Reatile Gaz to draw on strategic support from Air Products. Since the alliance announcement in 2010, Reatile Gaz spared no time in implementing their growth strategy which included opening a factory in Nelson Mandela Bay. The company has decided to situate operations in the industrial area of Markman. 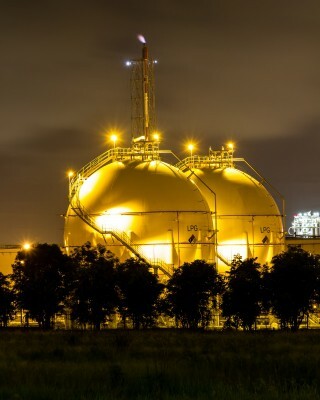 “Our decision to open a facility in Nelson Mandela Bay was fuelled by the Eastern Cape’s positive investment environment and an expanding LPG market. Partnering with Air Products, we will be able to complete the full bouquet of services to a market that has long been underserved,” said Simphiwe Mehlomakulu, Reatile Gaz Chairperson. Reatile Gaz has purchased land in Markman and has plans to build and complete a LPG cylinder filling facility by May 2014. The factory would supply customers with LPG in cylinders and bulk. “We are waiting for the go-ahead from the provincial Department of Economic Development, Environmental Affairs and Tourism and then construction will start. We plan to establish a thriving office with a dedicated sales force,” said Mehlomakulu. Initially, the plans include a small filling facility boasting a 45 000 litre LPG supply, but there are plans to grow as the local economy develops, with Reatile hoping to reach volumes of 200 000 litres of LPG and propane eventually, said Mehlomakulu. The economic benefits will be significant particularly when it comes to employment, the company said. Air Products – currently ahead of schedule on their specialised Eastern Cape industrial gas plant – welcomed the arrival of Reatile Gaz. “The partnership will have far-reaching implications for gas users in the Eastern Cape. This mutually beneficial association allows us to offer a better service and full bouquet of products to Eastern Cape customers, ensuring security and reliability of supply across the board given the specialist focus in these areas,” said Air Products Managing Director, Mike Hellyar. The Air Products-Reatile Gaz alliance formed in 2010 ensures the security of LPG supply allowing both companies to maintain their core focus on the manufacture, supply and distribution of industrial and process gases to the southern African region. Both companies adhere to strict safety measures as stipulated by local, American and European industry standards. LPG is a fuel gas that is a combination of propane and butane. Normally LPG is combusted in air to heat a variety of materials. More common applications include soldering copper and the heating of single or batches of components.